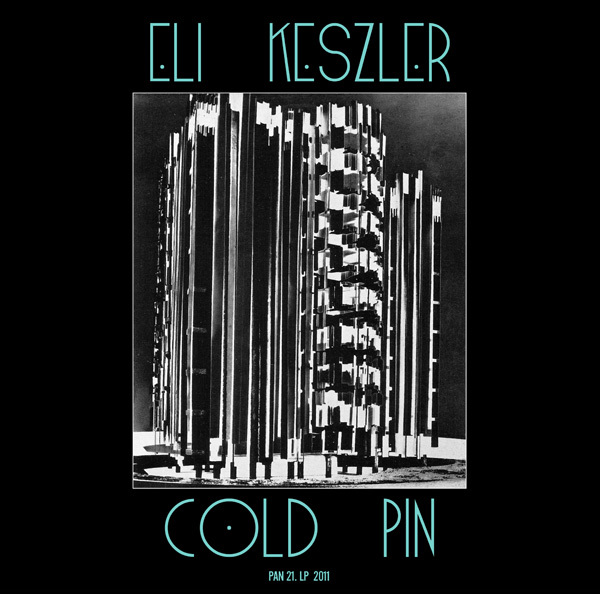 Over two years in the making, Cold Pin is the new full length record by Eli Keszler. Both a composition and stand alone installation, 14 strings ranging in length from 25 to 3 feet are strung across a 15 x 40 curved wall, with motors attacking the strings, connected by micro-controllers, pick-ups and rca cables. Recorded in Boston’s historic Cyclorama, a massive dome built to house the Cyclorama of the Battle of Gettysburg painting in 1884. The b side features in addition, a ‘dry’ version of the installation with motor attacks on metal squares rather then strings, creating dense percussive clusters. Cold Pin works within the frame work of left to right time and vertical structure. The installation acts as the architecture of the music, surrounding and immersing the live instruments into incredible density and sharp angular mass shapes, and functions alone as the performers stops. Rather then an individual sound the sustained horns, strings, drums and metallic attacks function as a singular unit, and continue too when they stop alongside the installation. Cold Pin features Eli Keszler (drums, crotales installation and guitar), Geoff Mullen (guitar), Ashley Paul (clarinet, guitar, greenbox) Greg Kelley (trumpet), Reuben Son (bassoon) and Benjamin Nelson (cello). 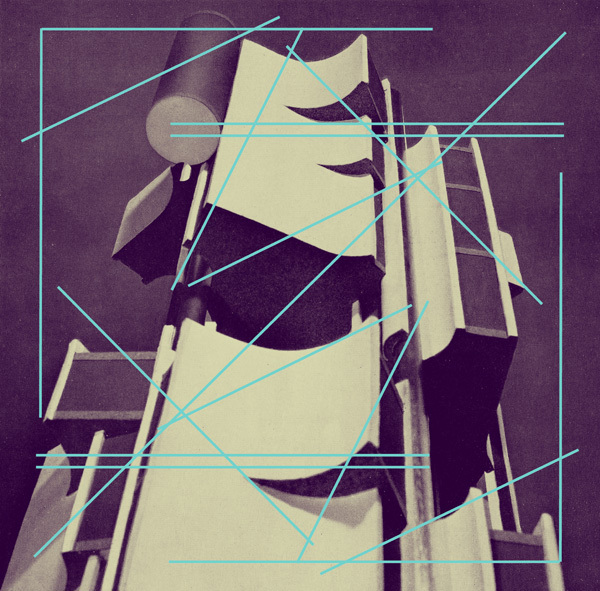 Eli Keszler is a composer, artist and multi-instrumentalist based in New York City. In performance, he often plays drums, bowed crotales and guitar in conjunction with his installations. In his ensemble compositions, he uses extended strings, motors, crotales, horns and mechanical devices to create his sound, balancing intense harmonic formations with acoustic sustain, fast jarring rhythm, mechanical propulsion, dense textures and detailed visual presentations. Eli has toured extensively throughout Europe and the US, performing solo and in collaboration with artists such as Phill Niblock, Aki Onda, Joe Mcphee, Loren Connors, Jandek, Roscoe Mitchell, Anthony Coleman, Joe Morris, Steve Beresford, C Spencer Yeh, Greg Kelley (Nmperign), T Model Ford, Ran Blake, Ashley Paul and Steve Pyne. He has recorded solo releases for labels such as hiw own REL Records, ESP-DISK’ and Type (Red Horse). His installations have appeared at the Boston Center for the Arts and Nuit Blanche NYC and the Shreveport MSPC New Music Festival. He has most recently won the Mata composers competition for the 2012 season. Eli Keszler is a graduate of the New England Conservatory in Boston where he studied with Anthony Coleman and Ran Blake.